Replacing the blade on your lawnmower will improve the look of your lawn and make your lawnmower operate more efficiently. Make sure you check your lawnmower blade on a regular basis, a blunt blade will damage the grass and a blade that is bent or off balance will cause damage to your mower. These blades fit several models so please check in the model list or if in any doubt email us for confirmation. 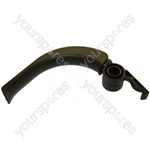 Choose a manufacturer to reveal the models that the part 2 x Bosch Replacement Metal Lawnmower Blades Top Quality is suitable for. 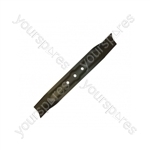 Write your own review of 2 x Bosch Replacement Metal Lawnmower Blades Top Quality. Completely satisfied with my order. Quick and efficient service. Not needed yet but expect them to be as good as the previous ones I have had. The blades arrived very quickly after ordering . They are a perfect size for the mower and easy to fit. And the lawn looks great.Thank you. Compatable with Rotak 32R mower? Can you please send over your 9 digit product code from the mower so we can check this for you.